We've had plenty of speculation in recent times regarding Wii U bundles, as it's seemed inevitable that Nintendo will boost the value of its offerings with packed-in options to cater to various audiences. Nintendo of Europe has today stepped forward with its own offers, all set to arrive in November. 8th November: Mario & Luigi Premium Pack — 32GB Deluxe model (black) with a single disc containing both New Super Mario Bros. U and New Super Luigi U. This bundle had been rumoured previously due to an appearance in a catalogue. 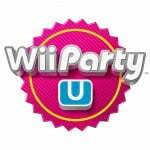 15th November: Wii Party U Basic Pack — 8GB Basic model (white) with disc versions of Wii Party U and Nintendo Land, a Wii Remote Plus is also included. 22nd November: Just Dance 2014 Basic Pack — 8GB Basic model (white) with disc versions of Just Dance 2014 and Nintendo Land, a Wii Remote Plus is also included. At the time of writing all three bundles are available to pre-order on the Nintendo UK store, priced at £249.99; retailers will set their own prices. Let us know what you think of these bundles in the comments below. Those bundles are quite good value, I'm sure they will help sales at xmas especially the party one. Still buttrustled that I didn't wait to get the Wind Waker bundle. Good to see Nintendo push these bundles though. Hopefully the Wii U finally carves itself a good slice of the market share. Wii remote plus only works for wii u? So my regular wii remote won't work on wii u? I remember reading someone's posts on the Wii U, criticizing the fact that Nintendo hadn't included Wii remotes for proper backwards compatibility straight out of the box (which I suppose is a bit strange in retrospect, since it'd be like criticizing the original Wii for not including a GameCube controller), and that person went on to claim that as the reason for them skipping the console. Seeing how the bundle with Wii Party U includes a Wii controller, I'm hoping this'll turn into a non-issue. @Nirvana Your regular Wii remote will work with the Wii U. I use my old Wii remote with my Wii U without an issue. If you have a MotionPlus add-on for your Wii remote, that'll work too. The Wii Remote Plus is just the old Wii remote with MotionPlus built in, is all. I wonder how the mango and cherry WiiU consoles a french Toys R us announced will fit in there. 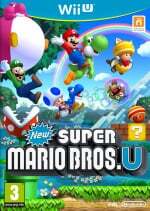 The Mario and Luigi bundle is good value, especially considering you can expect to pay in the region of £65 for the two games. It's just a shame the Zelda bundle doesn't come with a disc version like these bundles do. @SuperKMx thanks for the info! i am sorry for myself... i bought it the day it came.. with the lame bundle of zombieu... i want the mario one! as a collector. I'm suprised they are still selling that 8GB pack, particularly due to the size of their OS updates. Still, a good idea that they included the wii remote, I thought my launch premium pack was lacking that one. The system is now significantly cheaper with more game options than the competition. Hopefully this strategy works. I might get the Mario & Luigi pack instead of the Wind Waker one. The Mario Bundle looks really tempting, that'll probably be my choice when I can buy one after Christmas. I don't think these bundles are going to tempt anyone that wasn't interested before. For most of 2013 retailers have been putting out £200 premium units with Zombi U and £150 basic packs and struggling to sell them. 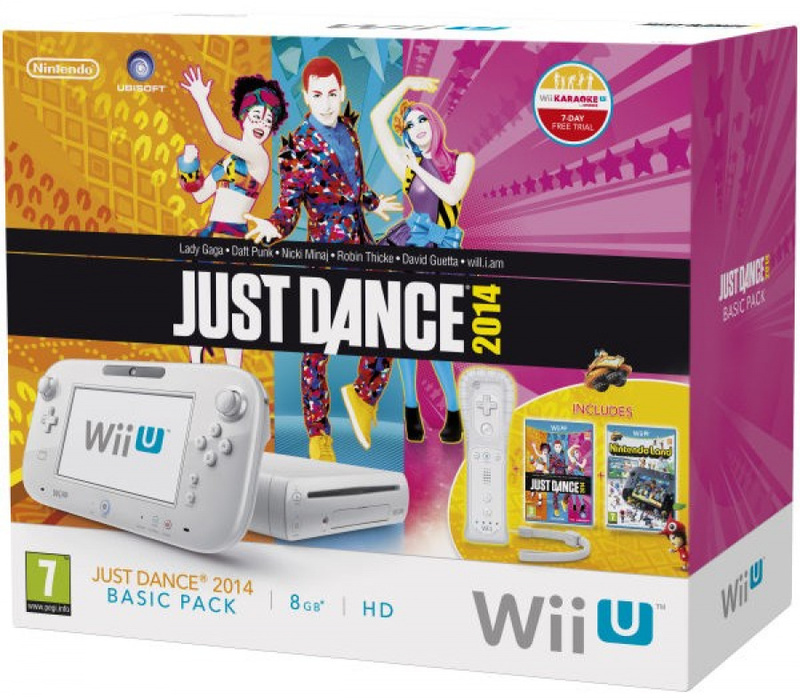 Charging £50 more to swap Zombi U for 2D Mario or £100 more for Just Dance and Nintendoland is hardly a stunning deal. @ferthepoet go to dictionary.com and look up the meaning of next gen. Yes it is. If you don't like it don't buy one. Heck tell your friends not to if it's that important to you. This whole next gen ( what is/isn't ) is just ignorant flame bate. Like I said earlier would you have said the ps2 wasn't next gen compared to the xbox and game cube. They both had way more power. I like mine and I'm keeping it. If you don't like it that's cool but I'm tired of the next gen bs. Why can't you just say it doesn't have enough power. Do you consider PC to be this gen for gaming? Does that make ps4 not the current gen for gaming? @faint There is no standard definition of a generation when it comes to gaming. I know a lot of people that work for developers and when they talk about Wii U not being 'next gen' they're not trying to mock it, but it's a short term to define what their current project is gong to run on. It's a lot easier to say is this new project going to be current gen or next gen than to say is our next game going to run on 360, PS3 and Wii U or is it going to run on PS4, Xbone or PC? Note to myself. Don't be in a rush to buy another Nintendo console, Nintendo does not seem to reward loyalty. Golly. I didn't intend for my comment to be a catalyst to start an argument. Sorry about that. I agree that the Wii U has had disappointing sales, and as an owner from launch myself, I am a disappointed and buttfrustrated customer. I don't agree that it's the price point at this stage though. The price has come down plenty, and the hardware bundles have given attractive entry options for almost any kind of Nintendo fan. The problems, in my opinion, have been weak marketing, failure to inform the audience of what it is they're actually buying, failure to anticipate complications in developing in HD, and failure to form strong ties with 3rd parties from the beginning - heck, from before this generation even started. But I see a strong software line-up in the future, and I see system sellers that will make 3rd party developers more open to developing for this great piece of hardware. Is the Wii U going to be another 3DS? No, probably not. It will more likely be another Gamecube, but that's good enough for me. The Gamecube was a pretty groovy machine too. Well now we know what the 'basic' retail recall was about, nintendo were repacking them as Wii Party bundles! Those are ok bundles but they're really just for the casuals. What I think Nintendo really needs for the holiday season is a full-on Super Mario 3D World bundle. That's really the only bundle that's likely to move systems to any of the more core gamers imo and that has even the slightest chance of temping them away from buying an Xbox 360, PS3, Xbox One or PS4, or at least maybe buying a Wii U alongside one of those systems, this holiday season. 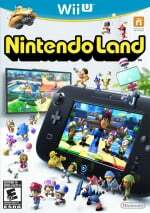 While I hope we see some Mario bundles and stuff over here, too, I'm still planning to get the one with Nintendo Land. 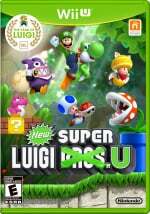 The Mario & Luigi bundle is a great deal. 32 GB and two games? Yes please. The others are 8 GB and feature games I wouldn't be so interested in, but hey, at least they're white. Why are there always so many arguments over how good/bad the wiiu is. The only question you should ask yourself is do you enjoy wiiu. If its a yes,why should someones diference of opinion affect you so much? If its a no,then its a shame and maybe you should sell it for something you do enjoy. No mention of the Lego City Undercover bundle? That wasn't in the catalogue but it's up for pre-order on the new Nintendo site. @Ophis As I said above, next gen means different things to different people. I know developers that just use it as quick speak for the level of projects they might be discussing. Right now a ton of studios are debating wether to make their next game 'current' or 'next' gen. Wii U is not included in their definition because if they're programming something around PC/PS4/Xbone specs it's not going to run on Wii U. They're not trying to mock the console by not including it in that bracket, it's just quicker to say next gen than list each machine they're putting their game on. You look up Wikipedia or some video game history book years from now and of course Wii U will be part of the 8th gen, but the term has different meaning for different people, and someone saying it is not next gen is not necessarily putting it down. OK, now I only need these bundles to come to America. The biggest mystery is why 8 and 32 GB are being priced the same. Stupid opinionated arguements, but entertaining......I've enjoyed many different consoles over the years. The Wii U has some amazing features but the gamepad is nothing more then an updated version of Dreamcast controller right? Still its amazing for playing games with and has potential to allow gameplay that will be unprecedented. Make a Mario golf simulator utilizing a swinging wiimote and the game pad on the floor as your ball and everyone will want one. A Zelda Wii U game will grab customers by the millions. Will these bundles help push systems....of course they will but a console usually struggles out of the gate until its true power is shown and Nintendo has struggle to prove the Wii U thus far. Make no mistake, XB1 and PS4 will be no different in that regard. What it will take to really sell this new generation is something that forces you to upgrade. A new XB1 only Halo....a Final Fantasy for PS4 so epic that we can't imagine the size and scope even compared to a GTA5. People who claim that there is a huge difference in the visuals between PS4/XB1 and PS3/360 are the same that claim to see the difference between 720 and 1080 TV's. The truth is it will be the non visual aspects that will sell the new consoles. Hopefully all 3 will suceed because in the end that's what is best for us as gamers. 1. Wii U is next generation. The focus just lies on other things and competitiors want to catch up on them. 2. Wii was next generation for the same reasons. So if we apply the logic that Wii U and Wii are not / were not next gen because of their graphics, then of course the same logic would kick out the PS2 of the Xbox and Gamecube generation as well and bring it down to a Dreamcast-like mid-level which upon second thought is certainly is a fitting spot. 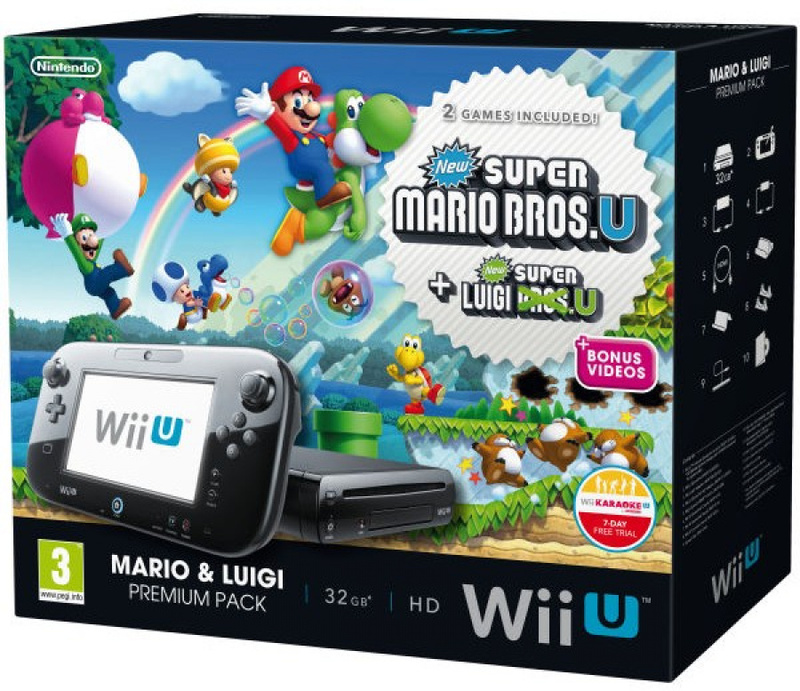 Another price drop is largely unnecessary, as the WiiU is already cheaper than upcoming consoles. (I am surprised Microsoft didn't choose to put Sony in a similar situation to the one Nintendo is in by actually putting in quality hardware). @ueI The basic bundle comes with 2 games and Wiimote Plus and the premium bundle comes with 2 games and slightly bigger storage space. I think the pricing is fair. @Shadowkiller97 Ah, I didn't notice the wii remote+. Another reason for me to avoid those bundles, as I already have 4 wiimotes. Hopefully these bundles make it to America, a lot of my friends have been asking about the Wii U, they'll sure as hell appreciate the Mario and Luigi bundle. @chibichibi I actually got my 3DS because of the Wii U. Still was using my GBA but I've had so much fun playing games with the gamepad that I thought I should upgrade for my last business trip. Purchased a Mario 3D bundle, picked up Fire Emblem, and used my Club Nintendo points to download Mario V DK for free. Was very happy that I upgraded after many flight delays. Damn Basic pack made it's way back.... I though it was discontinued. I wonder when Nintendo will release their official WiiU 1TB HD and how much it will retail? @Kirk I here ya. The NA will likely be getting that Wit Fit U bundle JPN got but we also need a 3D World bundle with that sweet Cherry Red WiiU. @yvanjean The Wii U does not have an HDD whatsoever at all. And a 1TB sized flash memory or SSD would be so expensive that it would make it completely unappealing. I love the fact that the Wii U has no HDD because those things are usually the first thing that breaks in a computer/console. Also, if you're like me and usually buy disc games, then 32 GB is more than enough. I appreciate not having to spend more for storage I will likely never use. @5ony Hi, I believe it was me, on MyNintendoNews site, thanks for reading my comment! Yes, including the wiimote in the bundle surely makes the experience better for a fresh adopter, that is - for a person who specifically wanted to experience what the Wii was about out-of-the-box. I agree with your gamecube example, it sure would be strange if the gc controller was included with the original Wii. This simply underlines the fact that Wii and Wii U are not similar 'out of the box', which is perfectly all right. Therefore I think including a wiimote changes that a whole lot for a fresh adopter. Oh, I never intended to skip the Wii U, I'm just taking my time with the Wii first. It turned out quite allright, more interesting bundles, prices and game titles are on the way for the Wii u, it won't run away anywhere. Of course it depends on the specific "cherry" color they've gone for but yeah. Hey guys, some of you may have noticed I've cleaned up this thread a bit. If we could all focus on the article at hand and not on each other, we'd greatly appreciate it. Thanks in advance, and if anyone has any questions, our inboxes are open to you. Basic versions? Idiocy from Nintendo. But having a Wiimote in the packages is cool. Why no bundle with the Mario & Luigi controllers included? @Shadowkiller97 Once Nintendo start offering some great deals on the eshop, I'm afraid 32 GB will not be enough. I've already install my 1TB HDD... It was very easy to install. I think other people would feel more comfortable buying a HDD with a Nintendo Logo on it. On my HHD: I have Zelda Wind Waker HD, Pikmin 3 and Super Luigi U.
I also have Trine 2, Star wars Pinball, Zen pinball, bunch of smaller games. Apparently Lego City is like 8-10GB, game like that would make the 32 GB insufficient. @Marshi People get so caught up in it because they want the Wii U to be more of a success....the big reason being that the more successful it is, the more games will be released for it and the longer it's lifespan will be. I've really enjoyed my Wii U so far (though I think it still needs more big hitters) and don't really care what others think, but I don't want to end up in a situation where I've paid nearly £300 at launch for a console that only has a small selection of games and a short lifespan. I want the Wii U to keep giving me a decent, constant supply of new games and experiences for the next few years, and for that it needs to be more of a success than it is already. @yvanjean Ohhh!! I thought you meant you wanted to see an official Wii U with 1TB inside it. Yea, I am all for an official Nintendo HDD, but at the same time, I do not see a need for it. There are plenty of reliable good brands (instead of usual 3rd party video game accessory brands). As for eShop deals, I do not forsee deals coming close to physical retail deals anytime soon. I usually only play one game at a time so I don't mind disc swapping. Although I have found that having a download copy of games like Animal Crossing/Brain Age on my 3DS to be very useful. I will likely want to get similar titles for Wii U download too (Wii Fit U, I'm looking at you), but I think 32 GB should last me a while yet. They should have also done a call of duty bundle, with a free download copy of the game. They would have covered all the bases then, bundle wise. It’s great to see more bundles getting made for the Wii U, and I’m really happy to see that they’re actually including the proper disc version in them instead of a download code or preinstalling it. I particularly love the Mario and Luigi pack, with both games being on the disc, you have yourself there a game that you can only get with the bundle which makes it feel all the more special! Sweet Mario bundle. It might just sway me from a white Wii U. @Nirvana Wii remotes work on the wii u dont worry. I thought the Wii U Basic was discontinued entirely...old stock put in a new bundle? 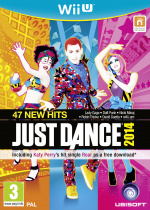 That'd be MUCH better than Just Dance and Wii Party U. Not that I regret my day one purchase of my Wii U at all, I do wish right now that I didn't have one, just so I could nip out and pick one of the new bundles up lol. I'd go with either the WW HD one or the Mario one. Alternatively, I'd pay £259.99 from GAME online and get the WW HD bundle with Rayman Legends too. That IMO is fantastic value for money right there. To think, I paid about £440 for mine on launch day, with a Deluxe/Premium model, and Black ops 2 and NSMB. Not complaining whatsoever though, coz the Wii U is the console I wish had come out about 15 years ago, with off screen TV play. THAT was the biggest selling point for me and what I had been waiting for forever. TBH, and I'm serious, I would have paid whatever they were asking for. But yet I would not do the same for one of the new consoles coming out (no, I don't hate them or anything or wan't to start a war off), as a product is only worth what the consumer is prepared to pay. I have the money to get both PS4 and XBOX if I realllllyyyyyyyyy wanted to, but what would be the point? I'd play Killzone 4 on PS4 and maybe use the Kinect for the XBOX until the novelty wore off. Oh, and they'd be used as a Blu ray too. Other than that, ALL the games I want are either Nintendo exclusives (except Killzone 4), or they're coming out for Wii U anyway (except Battlefield 4, I would have liked that). That is the reason I cancelled my PS4 pre-order last month, when I realised that I was spending a lot of money on something I would barely use. Obviously though, there are people who think the exact opposite. My brother for example has no interest in a Wii U as it would be a waste of money for him, even if they were just £150.00 with all this stuff, but has all his pre-orders for a PS4 loaded up. He won't be leaving GAME with much change from £500 on launch day, that's for sure. 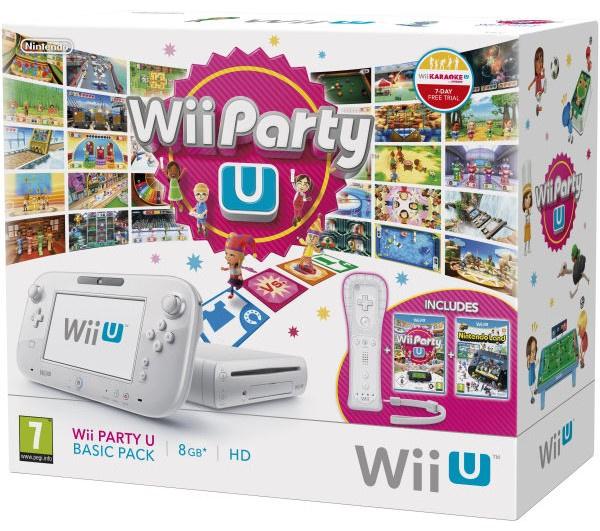 And I've heard some people say the Wii Party U bundle is a silly one. I disagree, as I think that will be the big family seller, and it has come out at the most perfect time, just before Christmas when families invest in this sort of thing, and when families do begin to actually throw quite a few parties too, so for them, I can see how it is a very attractive offer. IMO they even threw in the correct colour for the bundle, as white is a lot friendlier and attractive than black to a young family. They should do a Mario 3D world bundle! !